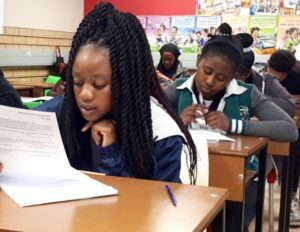 Funded by Citi, students were pooled from Willomead Secondary in Lenasia, Nova Pioneer High in Ormonde and Curtis Nkondo in Soweto for a Digital Enterprise Programme that ran on Saturdays. 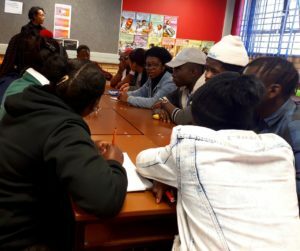 The sessions were held at Curtis Nkondo, which was the first of 27 schools of specialisation to be opened by the Gauteng Department of Education. 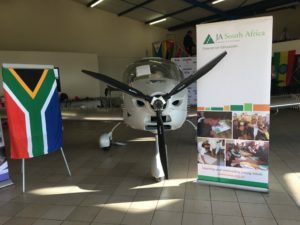 The aim of these schools is to offer technical and vocational skills to high school pupils with a keen interest in engineering, math, science, ICT and commerce, entrepreneurship as well as performing arts and sports. 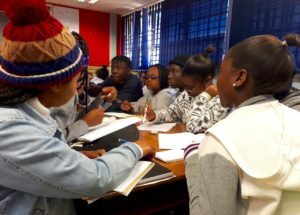 Learners formed three companies and were initially taken through the comprehensive Lean Canvas Model, which highlights the importance of problem solving in the process of developing products and services. 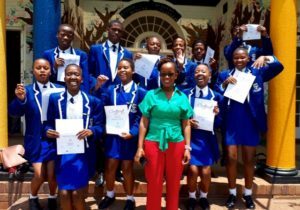 One of the participants in the programme, Celokuhle Ncayiyana, a student at Curtis Nkondo, who belonged to the company called Creative Legacy, explained that his team first wanted to make a photo booth but in the end decided to provide a photographic service. As stock controller he was responsible for trying to procure the materials needed but there were differences of opinion in the group as to what material would be best so in the end they decided to rather take pictures. 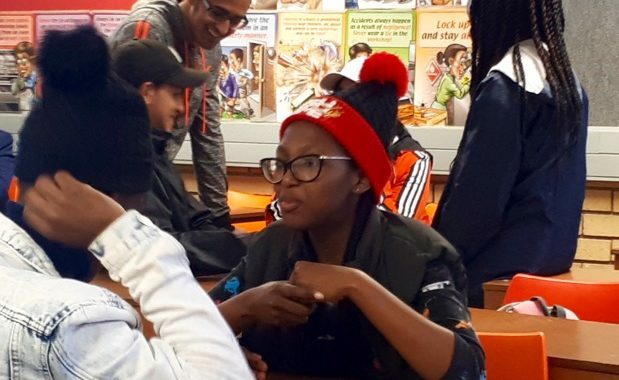 Ncayiyana went on to explain that the decision was made to liquidate the company at the end of the programme since not everyone was pulling their weight, which meant some members would have to take on several positions while others didn’t participate. 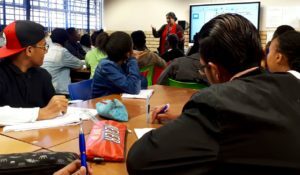 The experience provided valuable lessons on the importance of choosing your company partners well and on what it takes to build a team. Is there anyone willing to test wear this self-correcting accessory? 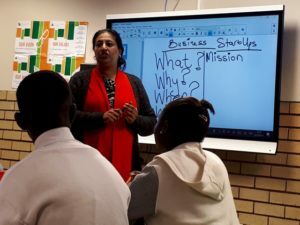 The group was fortunate to have Rooksana Modan , CEO of Apex Development, attend some of the sessions to provide valuable insight into how to be successful in business. 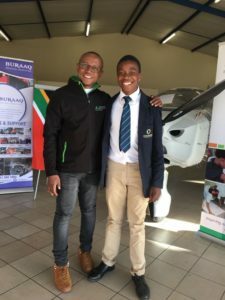 On the left he is pictured with Programme Manager Terence Modiba and below is the plane body they built.